The sensational results of a tasting in Paris more than 30 years ago forever changed the way American wines were considered, writes Curtis Marsh. America’s most prodigious Bordeaux-style blend – the legendary Ridge Vineyards Monte Bello from the Santa Cruz Mountains – turns 45 years old this year. Reaching this milestone is only part of the motive for writing this article, notwithstanding that I hail from the same vintage, further inspiration comes from my affinity with Ridge, the 1971 Ridge Monte Bello cabernet was the first American wine I had ever tried, and remains to this day, one of the most profound and indelible wine experiences. I have religiously followed Ridge Vineyards wines since, and not just the pre-eminent Monte Bello, but also their extraordinary zinfandels from Lytton Springs and Geyserville, made from some of the oldest vines in the region and the benchmark, for the variety, in quality, style and longevity. Moreover, I am responding to the many expatriate Americans who complain to me about the lack of American wines available in Hong Kong. This is largely due to United States wineries having little need to export, sufficiently content with their vast local markets. But you will increasingly find the more dynamic winemakers and progressive producers, such as Ridge, tapping into the burgeoning export potential of the relatively unprejudiced Asia market. In essence, a blind tasting (masked bottles) was conducted on May 24, 1976 at the InterContinental Hotel in Paris, comparing Californian chardonnay and cabernet sauvignon with French white burgundy and red bordeaux. The line-up on the French side was impressive, yet, astoundingly, California was the clear favorite in both groups with the Chateau Montelena Chardonnay 1973 and Stag’s Leap Wine Cellars Cabernet 1973 taking top honors. The outcome was incomprehensible, hugely embarrassing to the influential all-French judging panel including Pierre Brejoux, then inspector general of the Appellation d’Origine Controlee Board, Aubert de Villaine from Domaine de la Romanee-Conti, Claude Dubois-Millot, sales director of the Gault & Millau restaurant guide, Odette Kahn of the Revue du Vin de France, Raymond Oliver, chef of the three-star Michelin Grand Vefour, Christian Vanneque, head sommelier from La Tour d’Agent and Jean-Claude Vrinat, owner of the Taillevent restaurant in Paris. However, the most shameful and unprofessional act of the tasting was the deliberate marking down of the wines that the French judges identified as Californian, particularly after the first round defeat in chardonnay. Some wines were marked ridiculously low: seven points, and even a preposterous one or two points out of 20-points, which in any other tasting would have constituted a spoilt bottle, the score void and wine replaced. Why write about an event that happened more than 30 years ago? Well, if the inaugural tasting was divisive, with the French critics and wine fraternity bleating that the French red wines would age much better than their California counterparts, the situation has only become more exasperated with each successive 10-year anniversary replay of the event resulting in the Californian reds maintaining or increasing their rankings. In fact, at the 30-year anniversary tasting last year, held simultaneously in the Napa Valley and at Berry Bros & Rudd, London, presided over by Steven Spurrier, comprising an unbiased international tasting panel of irrefutable expertise, Ridge Monte Bello was clearly ranked as the top wine, showing its ability to age gracefully, whereas all the Bordeaux wines were in fact, over-the-hill. I do not normally recommend wine books as engrossing reading – unless you’re a “wine nut” like me – as they have a tendency to be rather banal and one-tracked. 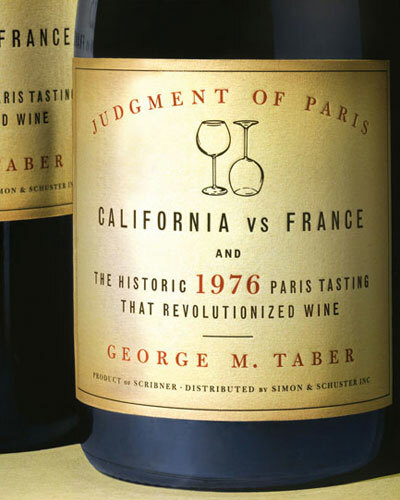 The recently published Judgment of Paris, California vs France and the Historic 1976 Paris Tasting that Revolutionized Wine by George M Taber (Scribner, HK$120) is an exception. 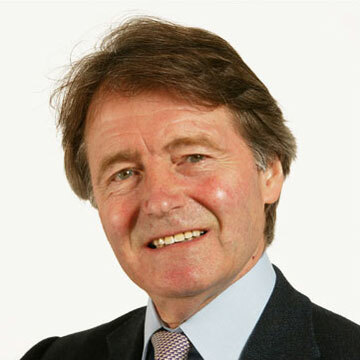 Also deserving of credit is Steven Spurrier, an enterprising and indefatigable Englishman. Spurrier owned an atypical wine shop, Caves de la Madeleine, on Paris’ fashionable Right Bank, where he also founded the Academie du Vin, which would become one of the world’s most recognized wine education institutes. It was Spurrier who conceptualized and ran “the tasting of Californian wines in France,” although he was very much motivated by a young American woman, Patricia Gallagher, who at the time was running the Academie du Vin, and who impressed upon him that the Americans were planning all sorts of events around the bicentennial of American Independence. I shall not go in to any more detail however, strongly urge you to read Taber’s fascinating account as it will not only increase your wine appreciation and knowledge but broaden your perspective of the global wine industry, and perhaps your view of American wines. I will continue with the Ridge Vineyards Monte Bello story in my next column.